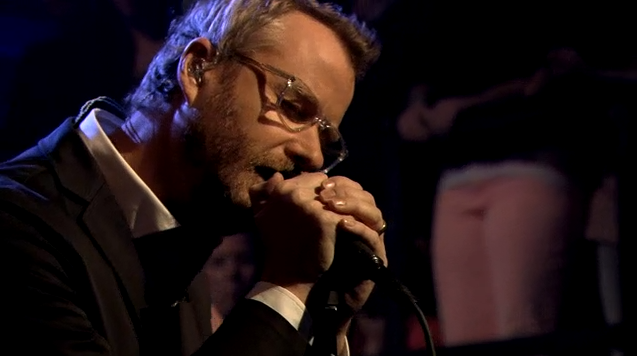 Ah, patience... Two more weeks until the new The National album Trouble Will Find Me will finally be released. Not only have I never been disappointed by any of their albums, the songs I've heard so far promise another great record full of musical brilliance and the experience of emotion and truth. For some reason, while I was putting together this blog post, the video disappeared from my post as well as from the Stereogum post where I had discovered it. I'm leaving up the embed code in hopes that it will return. But so you can at least hear the song, here is a beautiful acoustic live recording of the same song from a Canadian radio station a year ago. Download the live version of "I Need My Girl".